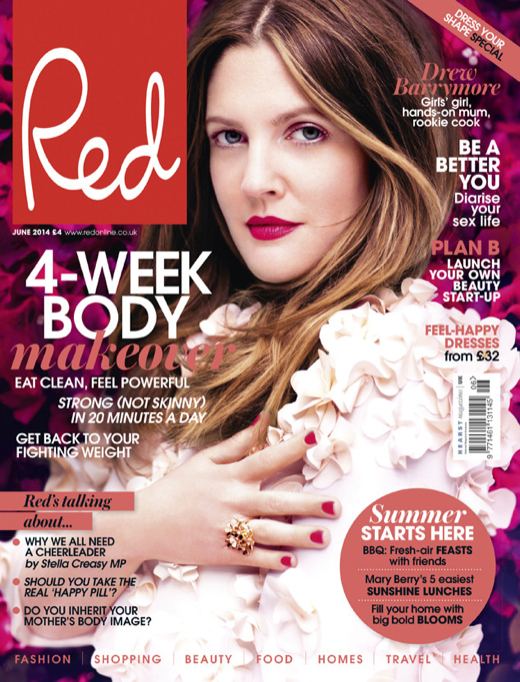 Appearing on the June 2014 issue of Red UK before the birth of her second daughter Frankie (April 22), Barrymore opens up her life with husband Will Kopelman and their daughter 18-month-old daughter Olive. After her lack of parental guidance as a child, it’s not surprising that being a hands-on mother is very important to Barrymore. She and her husband try spend as much time together as a family. Barrymore’s father was absent most of her life and is happy her children will never have to deal with that. The admits she loves to cook. Unfortunately, unlike her best friend, Cameron Diaz, she is not very good at it. The June issue of Red hits stands Thursday.